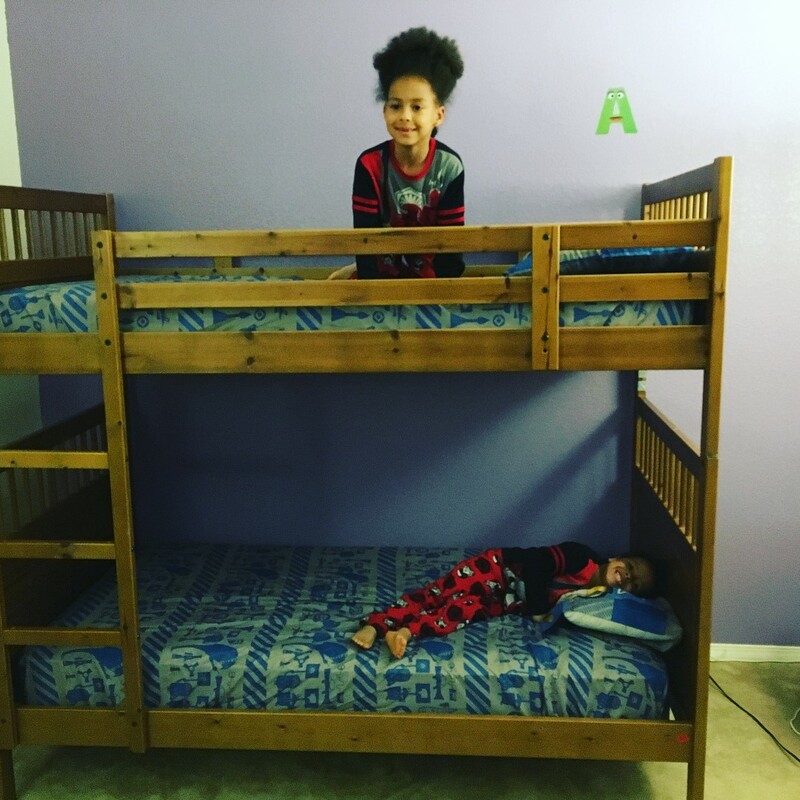 Common Core Money: Financial Literacy & Success Inspiration: Paid $70 for IKEA Bunk Beds With Two Mattresses! Paid $70 for IKEA Bunk Beds With Two Mattresses! What's up everybody! I'm baaaaaack! These days I write just for fun so I apologize if you're not getting my wisdom every other day, haha! Anyways, what are you currently in need of? You know, there's always something the consumer in us needs. Whether it's a new cell phone, car, dryer, washer, refrigerator even, it never ends, right? My wife and I both need cell phone upgrades currently, but alas, we don't want to spend that kind of money at the present moment. Easy to say, "Oh, we'll just do the payment thing and pay it off little by little." But folks, think about it, it's still in the end a whole bunch of money you had to pay. So we're doing things differently these days. Our new strategy is to get one thing we need each month. For example, last month (Feb) we got our male kitten Gus, neutered. We didn't want him impregnating his little sister so...you get the idea. We paid like $150 for everything, shots and surgery, etc. Next month, April, we plan on getting Verucca spayed. This necessity will be closer to $200. This month, we decided it was definitely the time to get our two kids some longer beds. We couldn't put them through the torture of sleeping on the floor any longer (they didn't like their beds). After talking with them about it, they opted for bunk beds. Where do you think I turned to online first? Amazon? You'd be wrong. Nope. 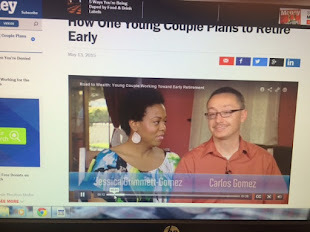 My first instinct was to visit Craig's List, San Diego county, to see if I could find deals. My wife had been on that new Facebook feature that's like a Craig's list, where you can look at things people are selling. She found some bunk beds, but didn't like the color of the wood, fake wood, whatever. There were several more options on Craig's List. And I even found two that were to my wife's liking. But when I looked to contact the seller, guess what? These people only allowed contact via email. I emailed them with my serious inquiry, but got no reply. If you want something sold, why not list your phone number? I get that people don't want to get bothered on their phone, but why sell something to the public at Craig's List then? I've posted several things for sale on Craig's List and each time I leave my name, Carlos, and phone number. People text me immediately. And I get buyers for my used items quickly. I'd rather deal with incoming calls and text messages than answer a stupid email. But that's just me. Anyways...back to my story. The used bunk beds on Craig's List were selling as low as $150 (crap furniture) to as high as $650 (yeah, right...may as well get new). When CL didn't get me anywhere, I turned to Amazon. For $285 I was out of the metal frame options and into wood. It was under my budget of $300, but I also had to pay taxes (I have Prime so shipping is free). While my wife and I were debating the Amazon option, my long-time tenant and friend, Gunny Sgt. Liu, who had come downstairs from his room, decided to chime in. "Try Pendleton Bookoo!" he said. We're like, "Pendleton, what?" Pendleton.bookoo.com is an online yard sale where Marines can make some fast cash selling their used items. I had no idea this site even existed, but it was a great thing my buddy did! 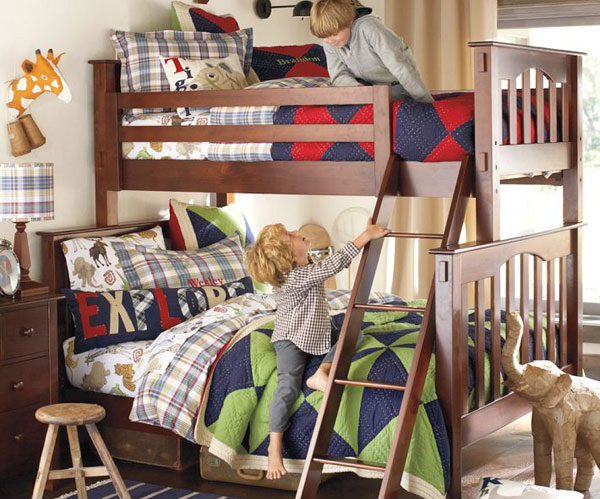 I went on the site and typed in "bunk beds" into the search bar. To my surprise, an IKEA Hemnes bunk bed came up, being sold for only $70 with two mattresses included. The seller described the mattresses on his ad as being in good condition, still inside their white fabric protector. The frame itself was also described to be in good condition, but with a few scratches. It was worth a contact. I contacted the seller, hoping the item was still available. He got right back to me within minutes. See folks, leave your number on your ads! I inquired some more about the items, and we texted back and forth about a suitable time to make a possible transaction at his residence on base. Two things here: 1) I personally don't have access to Camp Pendleton and 2) I don't have a truck. But my tenant has both! Ha! Gunny Liu was kind enough to drive me into base at night (this was the seller's night off) and help me load the bunk bed parts after inspection and approval. The next day, my wife began putting the bed together on her own in the kid's room while I was at work. That, Jessica...she's a crafty one I tell ya. I got home and she had half of the frame up already. IKEA assembly takes getting used to. The seller had placed all the little Allen wrench screws and tools in a zip-lock bag. The whole time were were afraid we would have missing parts. That's a risk you take when buying used. Indeed we were. Three metal dowels were missing. These fit in the holes that connected one top bunk rail to the head board. I knew I wouldn't be able to sleep at night knowing these dowels weren't in place, even if the screw holding the two pieces together was. So I made a trip to my local Lowe's and found a set of metal dowels with the right cylindrical diameter for less than $2. climbing up for the first time. I gotta say, this was the best furniture purchase I have ever made. 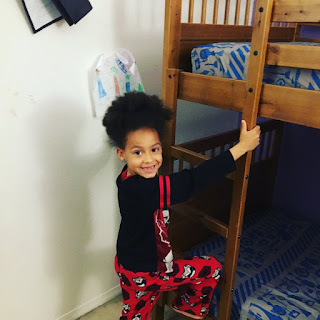 $70 for a great bunk bed with mattresses...are you kidding me! So, if you live near a military installation, the lesson of this post is, give yard sales real or virtual, a chance. Ask a serviceman or servicewoman if they have yard sales at their base. Befriend someone in the military and see if they would be willing to help you find a lightly used item you desperately need. It worked for my family!